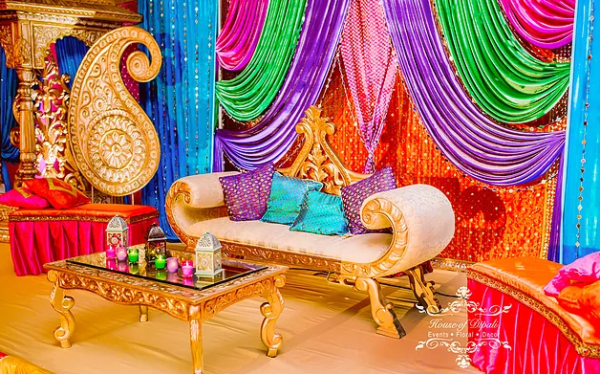 For a lot of our brides the mehndi party, otherwise knows as “Mehndi Ki Raat” (night of Mehndi or Henna), is a fun night, full of female bonding and sometimes even dancing. 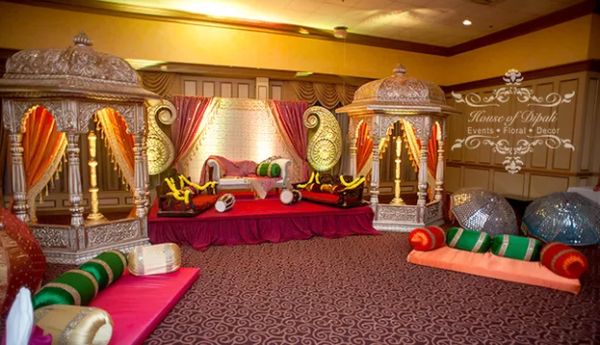 Mehndi nights are festive and bright, and deserve just as much love and attention as your wedding reception! 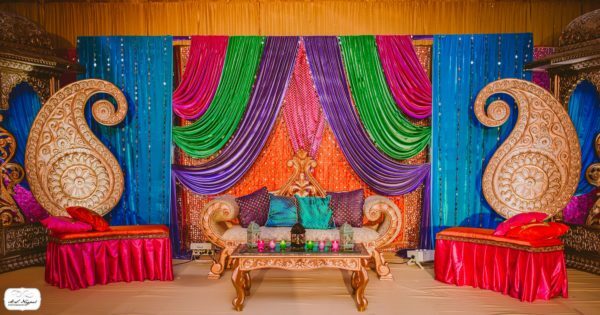 We’ve gathered a few of our favorite mehndi backdrop ideas to make your mehndi night just as special as your other wedding events! 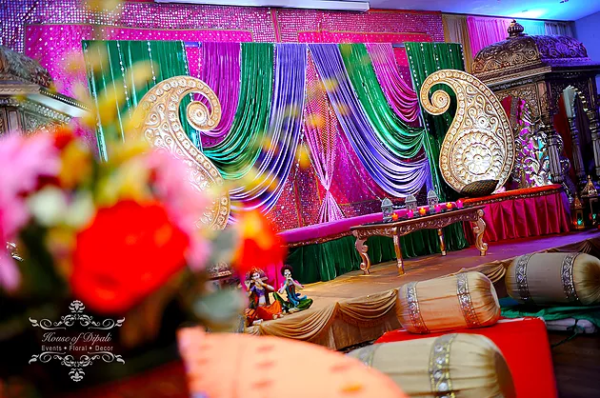 We love the intimacy and tradition behind the mehndi ki raat and believe deeply that you can make this an absolutely beautiful evening, ready to be photographed away. 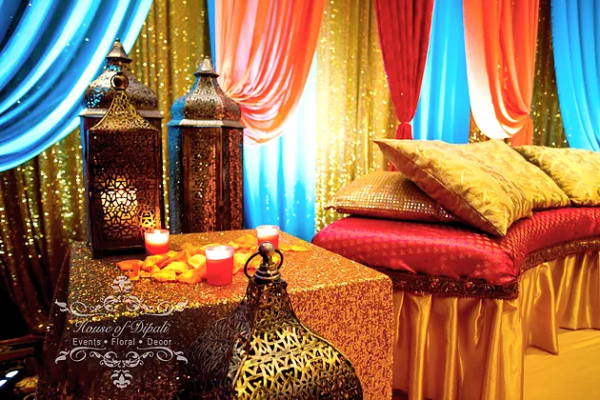 Just don’t smudge your henna! 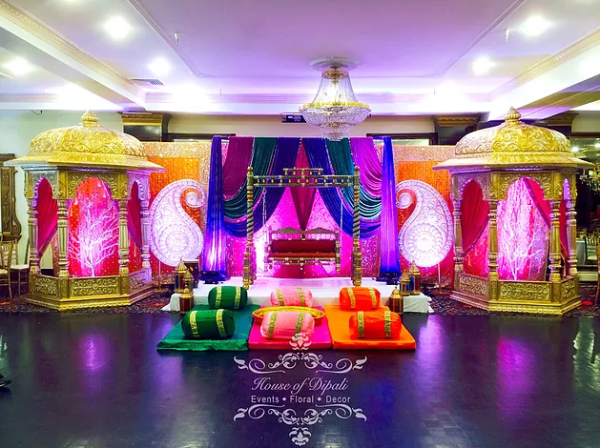 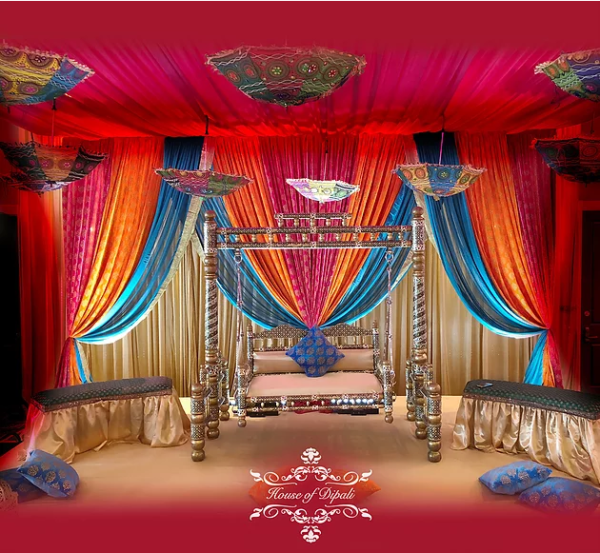 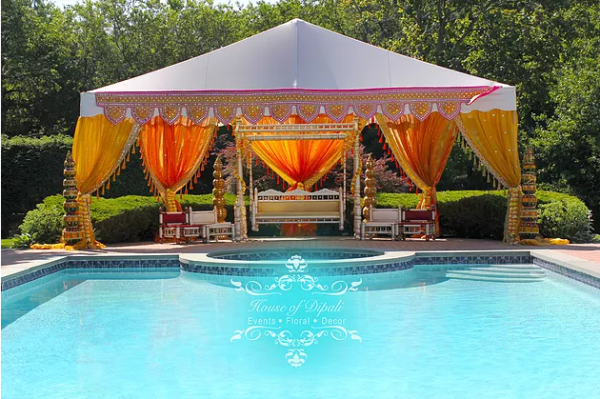 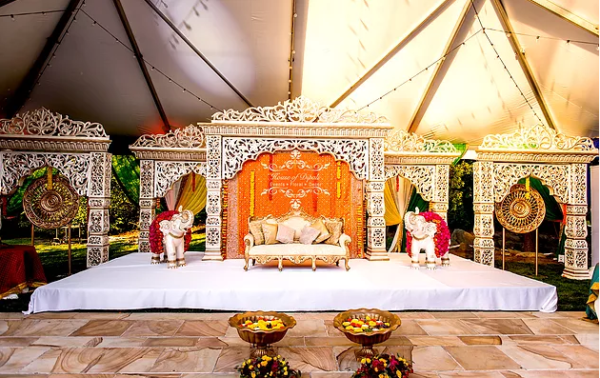 At House of Dipali, we understand that planning a wedding, especially a multi-celebration South Asian wedding with several venues can be an incredibly daunting task. 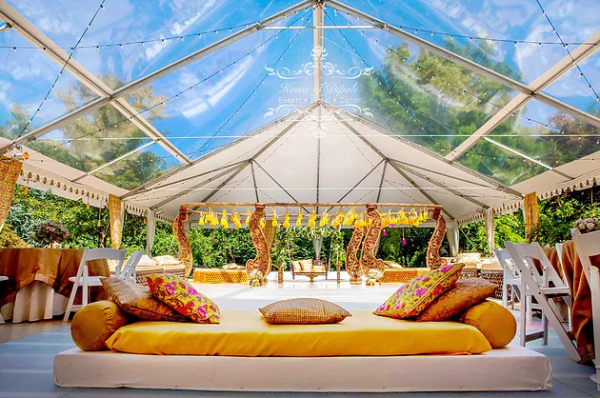 We recommend this wedding planner tool by Wedding Wire to get you started. 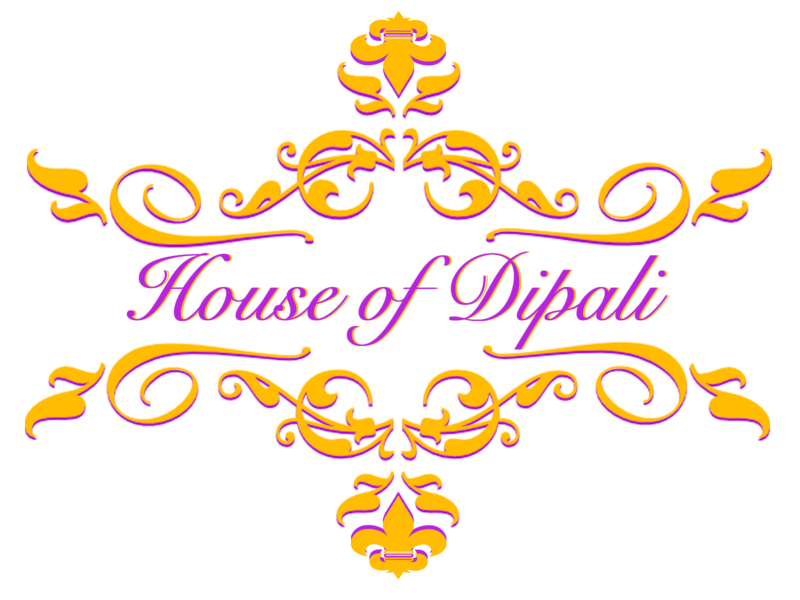 We recommend it to our clients frequently and find it super useful!